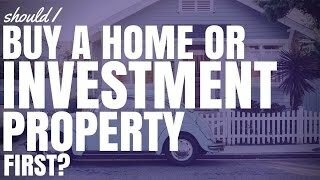 Today I am going to go through a question which a lot of people ask and that is should I buy a home or an investment property first? Rather than going through reasons why you should buy a home first or why you should buy an investment property first actually I’m going to go through a series of questions that you can ask yourself to better understand in your own terms whether you want to go ahead and buy a home or whether you want to go ahead and buy an investment property. So I hope that this is helpful for you. It’s a great question that you should ask because a lot of people just go out and I just buy their home first and they don’t even think about the option of ‘maybe I should purchase an investment property instead’. So good decision for actually taking the time and investing in this decision making process. Let’s get through a bunch of different questions you can ask yourself to begin to understand which why you want to go. Question #1 – Can You Afford To Buy Where You Want To Live? You may live in a very expensive neighbourhood and be renting, you might live in a city or a nice beach suburb but you may not be able to afford to buy in that suburb or at least to buy the property that you want. Often when you are looking at buying your home you’re projecting into the future. 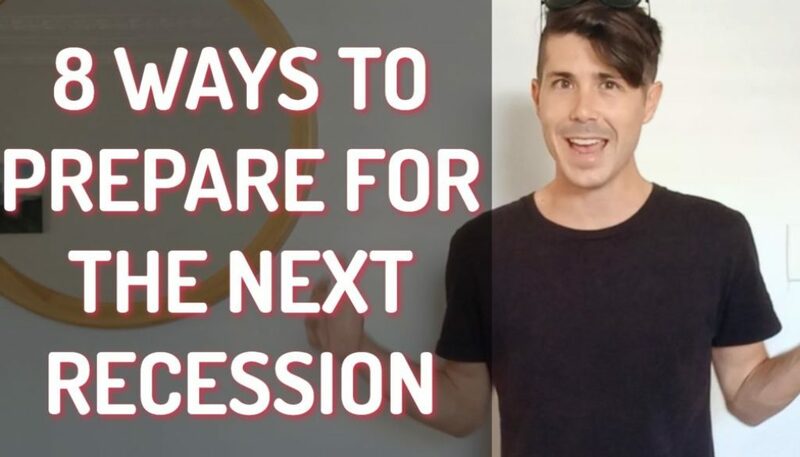 So at the moment you might be renting a one bedroom apartment or a small house but you understand that in the future you’re going to want to have kids or you’re going to want a bigger house or bigger backyard. You might not be able to buy the property that you want for the future. You may be able to afford to rent but if you want to go ahead and purchase a property you might be paying twice as much as you are paying now in your mortgage costs. If you can’t afford to live where you are then that automatically says to me you should either be looking at moving out of the area if you want to buy your own home or you should consider looking at purchasing an investment property first if you don’t want to move. Because, you don’t have the option of buying a house where you are because you can afford it. So that’s a good question to ask yourself, ‘can you afford to buy where you want to live?’ We all know that buying where we want to live doesn’t necessarily happen first go, we might have to purchase a few properties until we get this. That’s something to think about as well. Question #2 – Is The Area You Want To Live In A Good Investment Area? A lot of people want to purchase their own home, obviously where they want to live, and they might even want to purchase an investment property where they want to live. They know the area and know it’s safe. They know what the local shops are like, they know what the people are like but they don’t necessarily know what the area is like as an investment. There are different factors that you need to take into account when buying an investment property then when buying your home. When buying a home you might think about ‘I want to be close or within the vicinity of a certain school that I want my kids to go to’ or ‘I just like being in the beach’ or near the markets or whatever. When it comes to investment properties you are looking at economical factors, you are looking at population factors, you’re looking at transportation hubs and there is so many things that you need to look at in investment areas. Areas that are going to grow that you don’t necessarily need to look at if you purchasing your own home…or you do if you want capital growth and so forth. But it’s a good question to ask ‘is where you want to live in a good investment area’ . Question #3 – How Important Is The Security Of Owning Your Own Home? 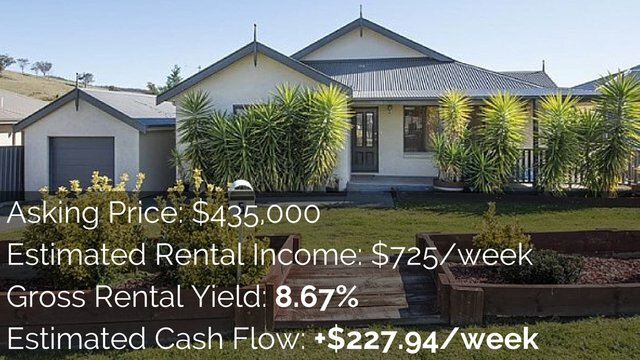 When it comes to purchasing a house or investment property we’re not purely buying on financials statistics and trying to work out which one will leave us better off financially. At the end of the day the home that we live, and whether we purchased or rented, is going to be a very emotional choice… a very emotional decision so we need to take that into account. How important the security is to you or to your spouse or to your family is something that you need to take into account when looking at either option. Obviously purchasing your own home, you make your own changes to it, you’re not going to get kicked out when the owners decide to move in because you are the owners. So you’ve got a little bit extra security there then you would have if you’re renting a property. If that’s really important to you, then maybe you can lean on the side of buying your own home before an investment property. Question #4 – Can You Get A Loan? You might not be able to get a loan for your own home but you might be able to get a loan for an investment property or vice versa. 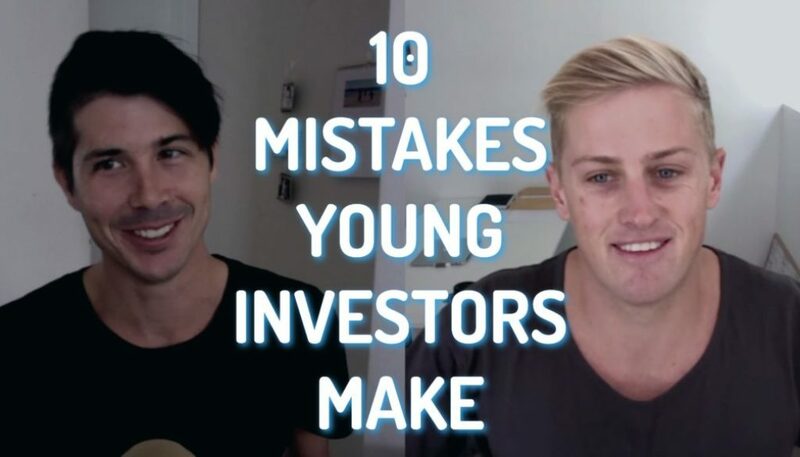 It really depends on the lenders, really depends on your financial situation, but with an investment property there are some lenders who would take into account 100% of the rental income and they would also take into account things like negative gearing benefits if you are purchasing a negatively geared property. Your borrowing capacity on a rental property may be higher than that on your own home. So you might be able to afford the property as a rental but not afford a property if you’re going to live in it yourself. It really comes down to your situation and what the lenders are offering at the time. I do suggest that you check out a mortgage broker – speak to them about your situation. But yes, weighting up your finances on whether you can afford to purchase a property is something that you really need to look at. Question #5 – Can You Afford To Pay The Mortgage? You need to look at whether or not you can afford to pay the mortgage at this stage in your life. In some circumstances the answer would be yes, you can afford to pay the mortgage on your home. In other circumstances it might be no, I don’t have the free cash flow to pay more than what I’m paying in rent. 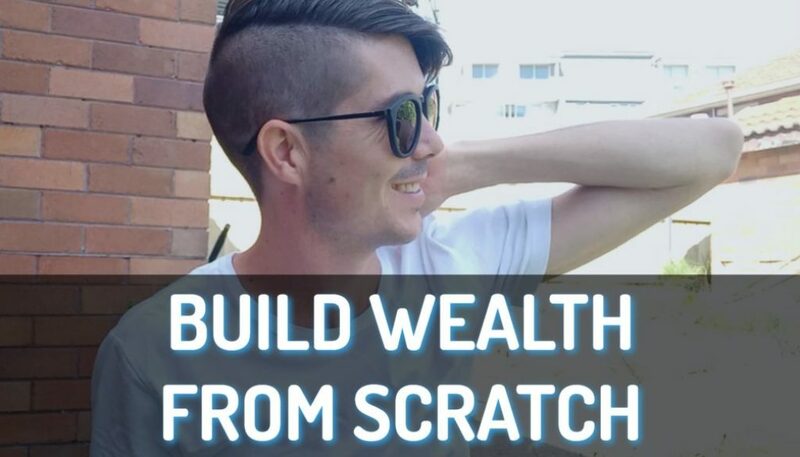 And so in that case you may not be able to buy a house to live in, and you could look at investment properties or, more specifically, positive cash flow investment properties and you could potentially be able to buy one that generates you income and pays for itself. That’s something you can afford to have, where as a mortgage you might not be able to afford to have. 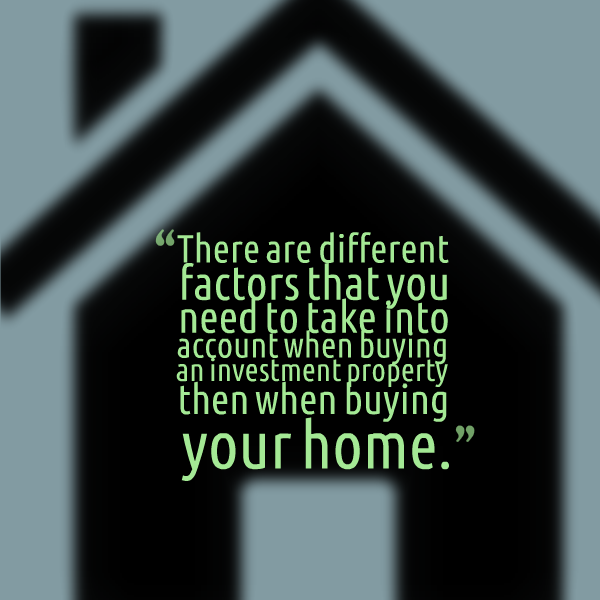 So asking whether you can afford the mortgage is something that you should consider as well. Question #6 – Is It A Wise Cash Flow Decision? You might be able to afford the mortgage but it might not be a wise cash flow decision for you. 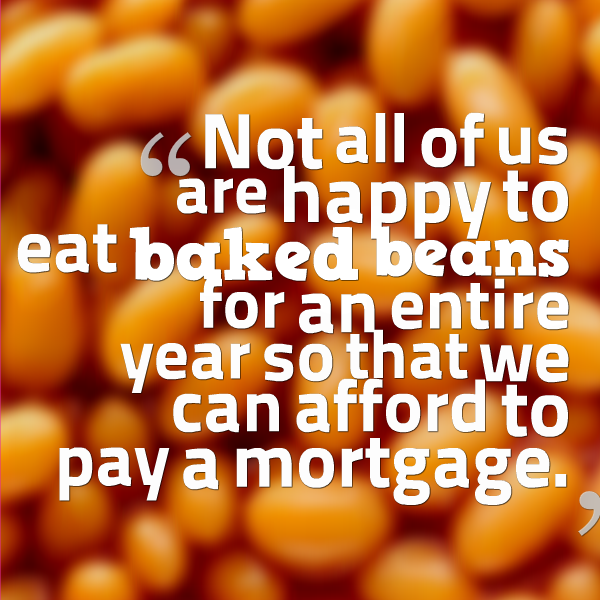 Not all of us are happy to eat baked beans for an entire year so that we can afford to pay a mortgage. Not all of us are happy to scrape by and not even be able to afford to go out for dinner once a month or once a week or whatever. Not many of us are happy to give up our cappuccinos or our lattes or our daily coffee or energy drinks or whatever it may be that you like to have – those little luxuries in life. So even though you may be able to afford it, what’s the strain that is going to put on your cash flow? I’m a big believer, at least for my life, in that if I’m extremely successful in other areas of my life, but my family and my relationship crumble then I’m a failure. And that’s just the belief that I have. And so if I’m putting so much financial strain on my family just to get a mortgage, what effect is that going to have on our relationship, and I need to take that into account as well. Is it a wise cash flow decision – something that you should be asking yourself. Question #7 – Is Cash Flow Important To You? So I’ve asked is it a wise cash flow decision but then we need to ask is cash flow important to you? 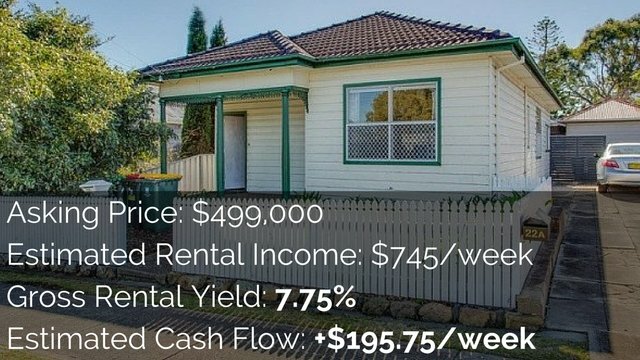 Because if you want more cash flow to be able to pay for lots of things or whatever it may be, the investment property that’s positively geared, that’s going to generate extra cash flow, might be better for you than a mortgage where you’re going to be paying more than what you would’ve been paying in rent. So by assessing how important cash flow is to you, whether you want more of it, whether you are happy with less of it – it’s a good question to ask to work out whether you want to go ahead and buy your home or you want to buy an investment property first. Question #8 – Could You Add Value By Renovating Whilst Living It A Home? Maybe you want to buy your own home AND you want to grow your property portfolio, but you want to do it buying your own home first. Often people start with their own home, build up equity and then use that equity to go ahead and invest. I know that I’ve seen my parents do it, I know many people have done it successfully. Maybe you’re considering renovating and you’d like to purchase your own home – maybe you can buy worst house in the best street and then you can go ahead and renovate it while you live in it, get it revalued once the renovation is done, and then you have equity to access which you may be able to go ahead and invest in more properties down the track. Obviously speak to a financial advisor and work out what’s best for your specific situation. But if you want to renovate it, then maybe living in it is good. But maybe if you have kids then you don’t want to renovate it while the kids are living in it, so you want to buy an investment property to renovate – that can be done as well. Really, you need to assess your own situation. Question #9: Could You Add A Granny Flat To Help You Reach Your Income Goal? This is something you can ask whether you decide you want a home, or if you decide that you want an investment property. You may feel that you’re priced out of the market and you can’t afford a mortgage. 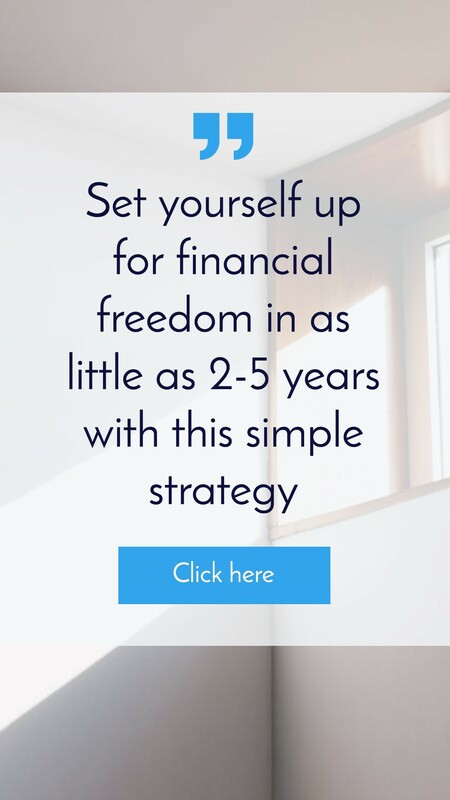 Well maybe you can purchase a home with a granny flat or you could go ahead and build a granny flat yourself and use it as an extra income to help you pay your mortgage. So this won’t necessarily help you decide whether you go with a home or whether you go with an investment property. But this is outside of the box thinking, think about the ways you can increase your return on investment or increase your affordability of your home. Granny flats are one way to do that, there are many other ways to do that as well. But start thinking about that sorts of things.. I hope that those nine questions have helped you to come to your own senses and understand whether or not you should buy your home first or whether you should buy your investment property first.